A worker died in an accident while working outside the World Cup stadium in the Brazilian city of Manaus on Friday, local authorities and the Sports Ministry said. 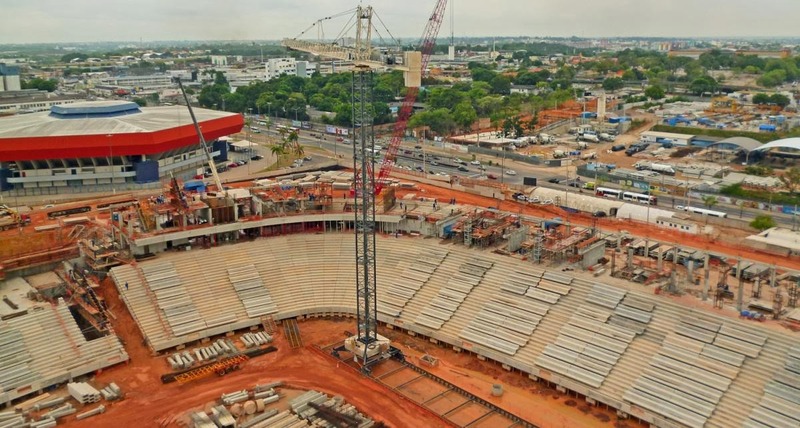 "Worker Antonio Jose Pita Martins, 55, died after an accident happened when he was dismantling a crane in the area outside the Amazonia Arena," the Sports Ministry said. The victim was rushed to a hospital, where it was later declared in a statement that Martins had died as a result of multiple head and chest injuries. He was the third person to die while working on or near the ground and the sixth to perish while preparing the 12 stadiums for this year's tournament which starts in June. "Fifa deeply regret the death of the worker who was disassembling a crane used in the construction of the roof of the Arena Amazonia," Jerome Valcke, the secretary general of soccer's world governing body Fifa, wrote on Twitter. "With great sadness we send our sincere condolences to the family, on behalf of both Fifa and the Local Organising Committee tonight." The Amazonia Arena, which should have been completed in December according to Fifa's original deadline, is behind schedule and workers were rushing to get the job finished.